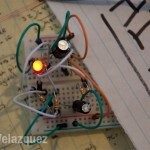 A Pulsing Glow « Ezra^3 – let's make things happen. 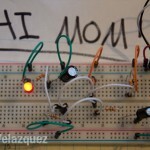 This post is a response to an exercise in the book “Make: Electronics”. 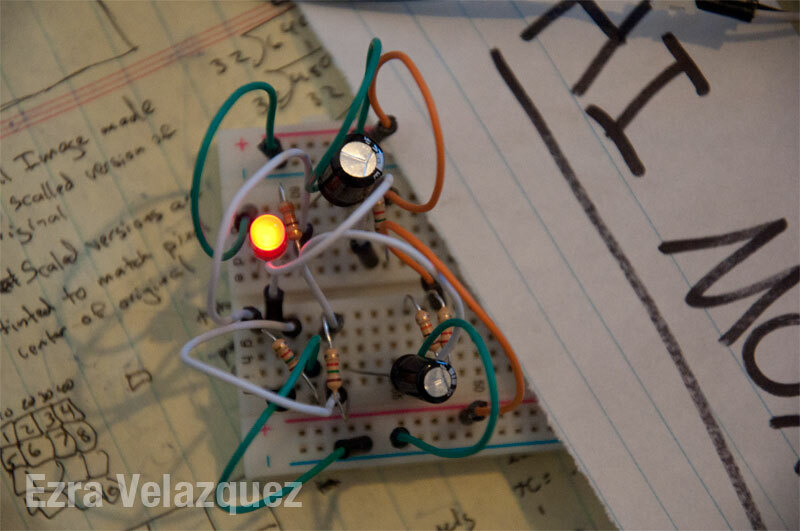 In this exercise, the focus was on creating as oscillator that gradually flashed an LED. 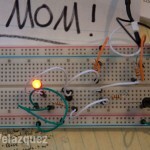 In previous examples, flashing LEDs seemed very robust; they where either fully on or off. 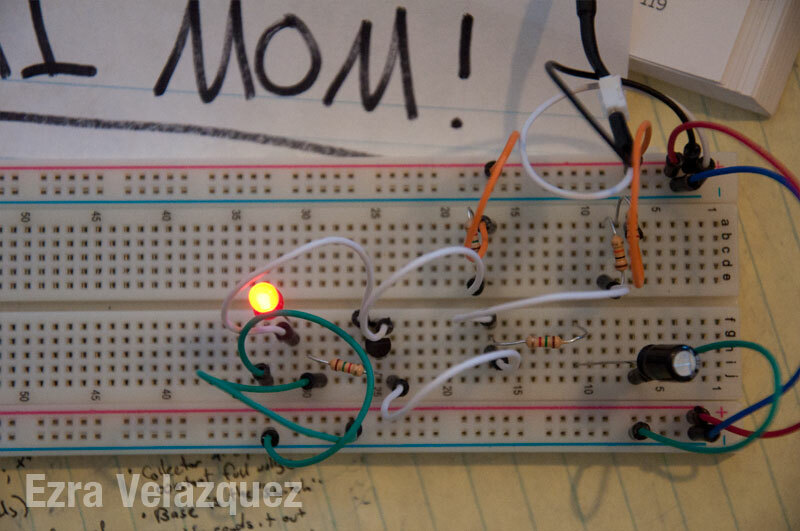 With the assistance of various capacitors and resistors, a LED can be made to gradually flash, which makes it have a more “organic” feel. In the wiring of this experiment, two capacitors where used: a 100uf on the anode of the PUT transistor and a 220uf on the cathode of the transistor. The values of the resistors on the gate and anode of the transistor where greater than on the cathode. 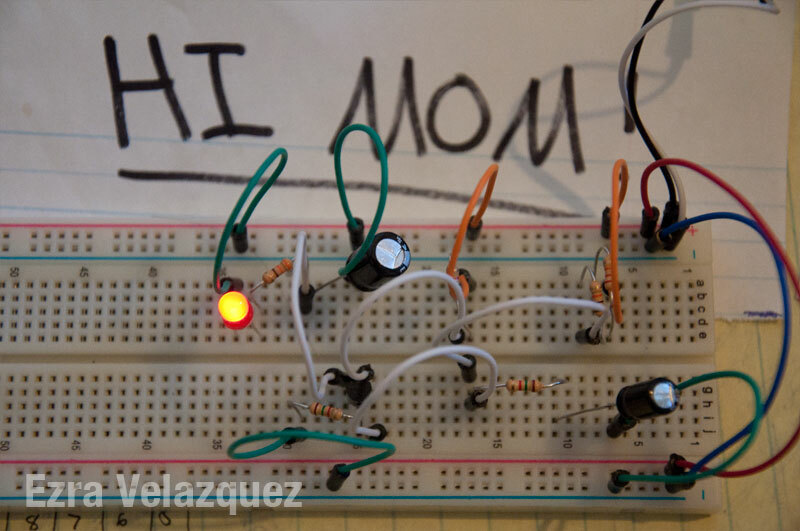 This allowed the LED to slowly discharged energy sent from transistor’s cathode. 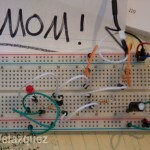 By having higher value of resistors on the anode compared to the resistor on the gate, it increased the time it took the capacitor to charge before the “gate was open” to the cathode. 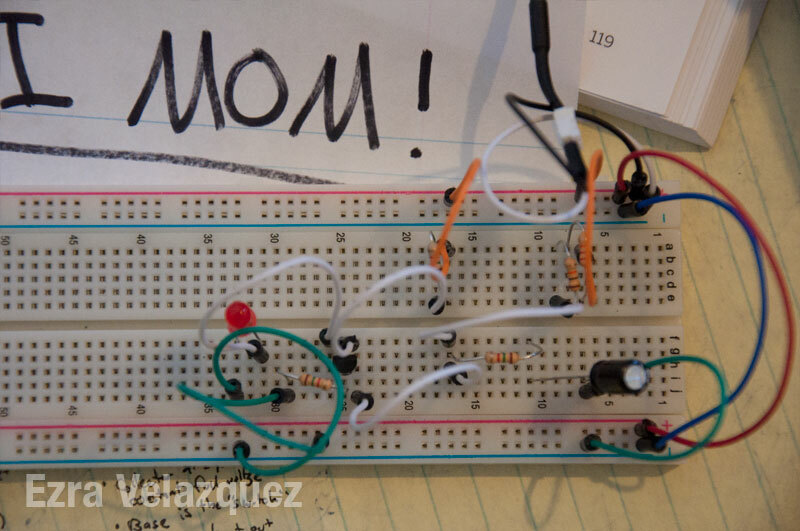 It can also be noted that I manage to “squeeze” all the components onto a small section of the breadboard. If this experiment where to be put on preforated board for a project, it would be best to take the last amount of space.